Join us for a ride at the Fleetistics test track between Tampa and Orlando. 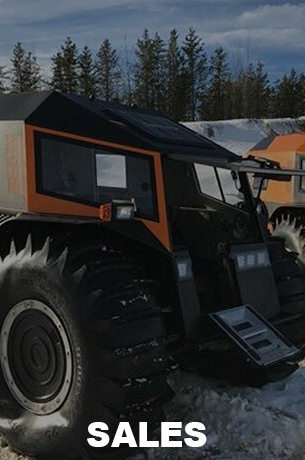 If you need the capabilities of the Sherp ATV but do not want to make the investment, you can rent the Sherp with a driver for use on private land. There is an 8-hour minimum plus $1.25 mile for transport and, if applicable, hotel and per diem at cost. Give us a call to determine if this is the option for you. The Sherp comes in two models, standard and pickup. The standard is great for cold weather environments or where the configuration will not need to be changed. The pickup model offers a soft top and removable hardtop with a roll cage. By removing the hardtop search and rescue members can see and hear their surroundings more effectively. 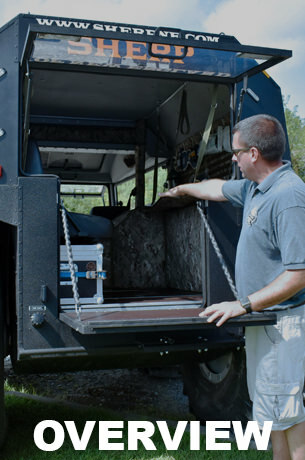 The open top also allows entering and exiting the Sherp over the sides (when not in motion). The open back may be handy in urban water rescue scenarios. The downside to the pickup is the roll bar mounts in the rear bench eliminating side seating. 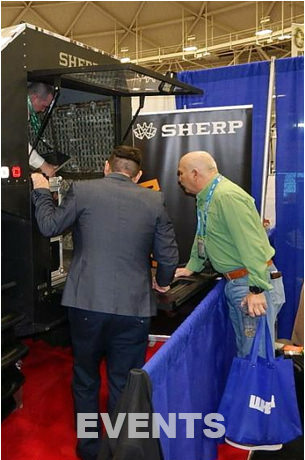 The Sherp ATV represents unique capabilities not found in an ATV, airboat, inflatable pontoon boat or traditional boat. Each of these platforms has pros and cons, strengths and weaknesses. 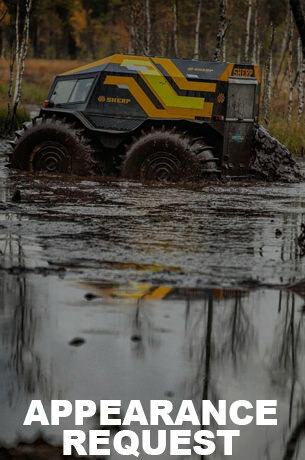 The Sherp platform represents a very stable, protected vehicle able to cross land at almost 30 mph and cross water at 3.7 mph. With a boat, you have to stop when you run into dry ground or obstacles. With an airboat the speed on the water is great but they are limited in their ability with soft aluminum hulls to cross land or operate in an urban environment with underwater obstacles such as signs and fences posts.